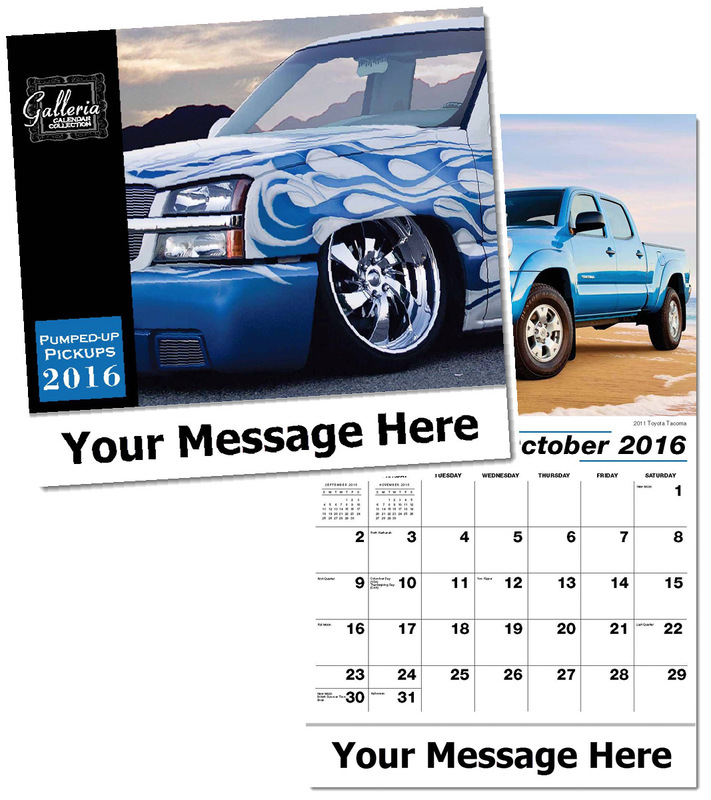 Personalized Pickup Trucks Calendars Custom Printed in Bulk. Promotional, Very Inexpensive. Lowest prices in USA and Canada. "Early Bird" special! Bulk discount Pickup Trucks calendars, customized and personalized with your custom imprint . It's amazing what you can do to dress-up and customize a working pick-up. The thirteen featured here will be an inspiration to anyone wanting to add a personal touch to his or her vehicle. Lowest price in USA and Canada for wholesale promotional Pickup Trucks calendars. Our high quality, customized pickup trucks calendars include both American and Canadian holidays. See our "Early Bird" deep discounts on our Price Table below. American clients pay no taxes. Free artwork design and free proofs!